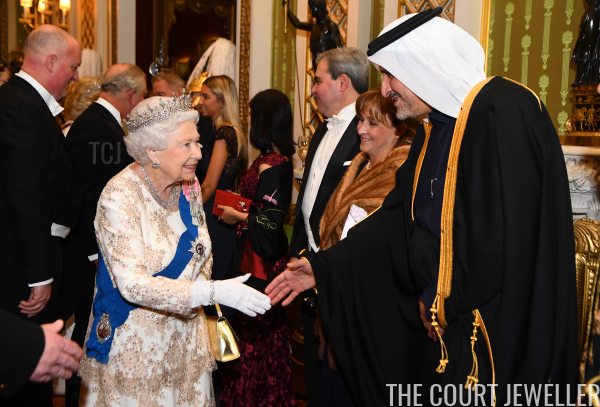 We got a delightful surprise from Buckingham Palace last night: a photographer had been allowed access to the annual (and usually private) diplomatic reception! Here's a look at the sparkling royal jewels that were on display -- something so exciting I'm bringing it to you a few hours early! 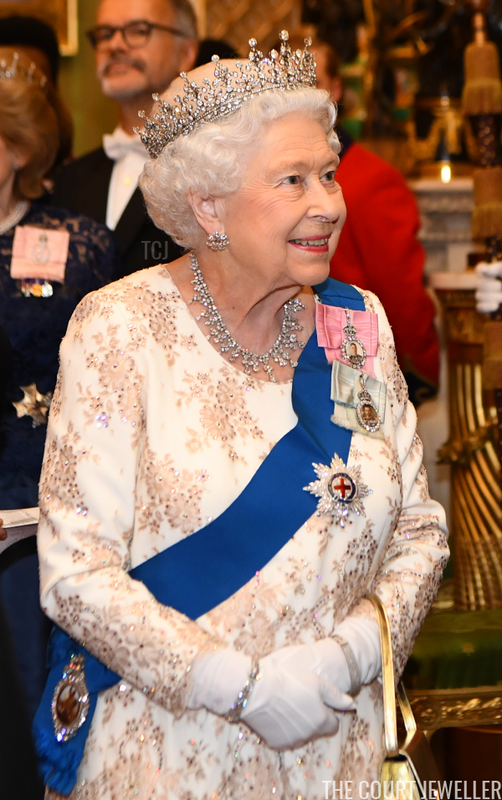 The Queen glittered in some of her favorite diamonds, including the Girls of Great Britain and Ireland Tiara, Queen Mary's Floret Earrings, and the King Khalid Necklace (a personal favorite of mine, too). 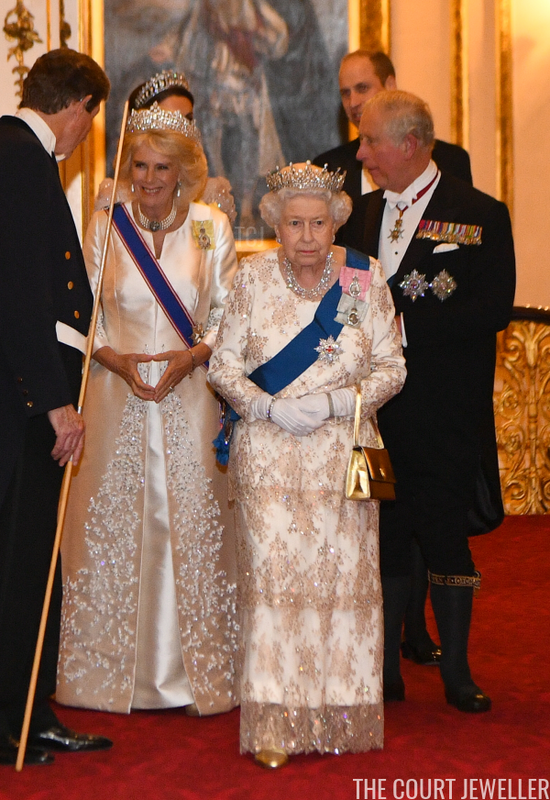 I also really loved the Queen's gown for the evening, which was a bit of a twist on her usual white evening dress. The champagne-gold sparkle embellishment is gorgeous! 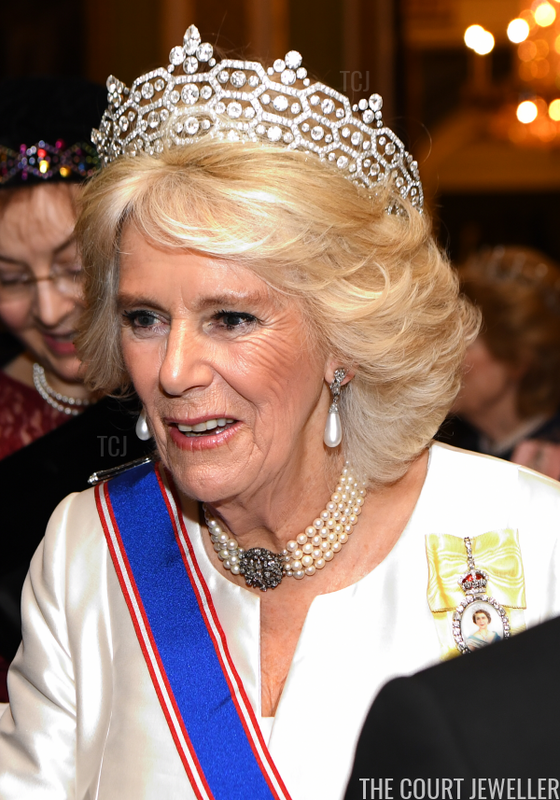 Camilla also wore favorite jewels: the Greville Tiara, her pearl choker necklace with the large diamond clasp, and lovely pearl drop earrings. 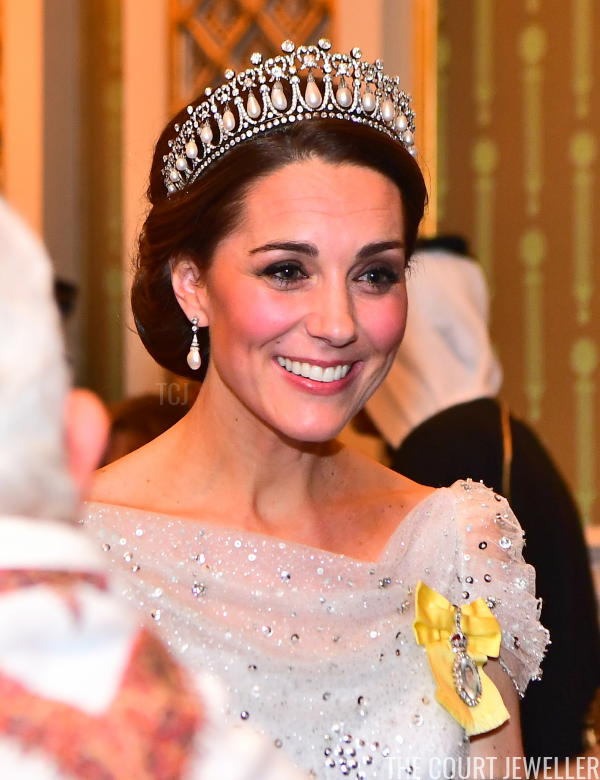 The Duchess of Cambridge rounded out the trio of glittering royal ladies for the evening. 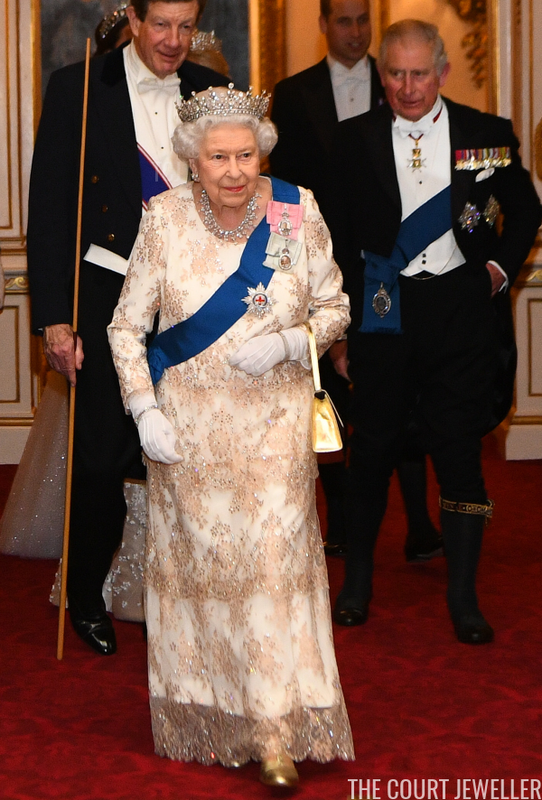 She wore Queen Mary's Lover's Knot Tiara with the diamond and pearl drop earrings that belonged to her late mother-in-law, Diana, Princess of Wales. On her right wrist, Kate sported the diamond bracelet made from a choker necklace that belonged to Queen Mary. 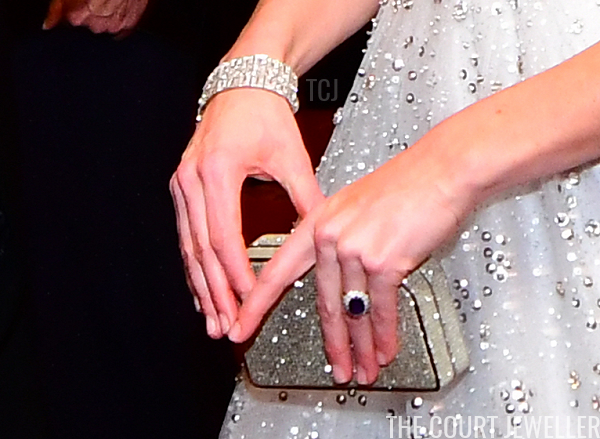 All of these jewels were excellent accessories for her elegant Jenny Packham gown.